Martha Sherman has two kids at Mount Nittany Elementary School in State College. On a recent morning when she was dropping them off, office staff wouldn’t let her go beyond the front office. She wanted to walk her son Zane to his kindergarten class, but his school, like many others, has a safety policy that says parents can’t do that. Sherman says it was tough on her son, who’s in a big school for the first time this year. 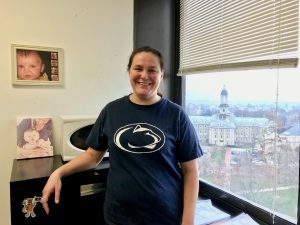 Martha Sherman has two kids at Mount Nittany Elementary School in State College and works at Penn State as a criminologist. 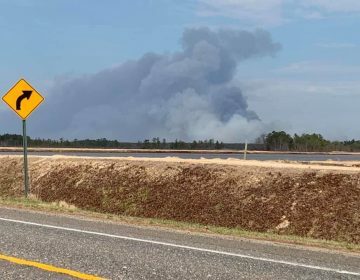 While she understands the need for safety precautions, Sherman says she thinks there could be some flexibility to make families feel more welcome. She’s also a criminologist at Penn State who questions whether locking down school buildings will even work. In this time of mass shootings, schools are feeling the pressure to make changes to how schools are constructed in an effort to keep intruders out. He showed off the giant multi-purpose room, which serves as lunchroom, basketball court and auditorium. Many walls here and throughout the building are made of glass. But Straub said a safety glazing makes that glass as sturdy as a solid wall. Another feature the renovation adds is an entrance like the one at the school where Sherman takes her kids. Straub has been designing K-12 buildings for 20 years. He said having administrative offices at the front entrance of the school building is probably the biggest change in school design. 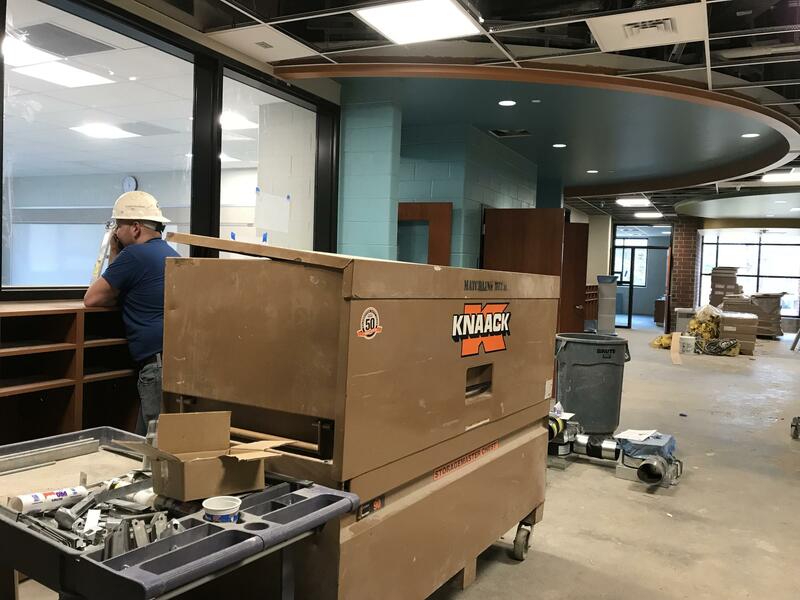 Other common safety changes include updated classroom door locks, security cameras and metal dividers that can be dropped to lock down parts of schools. But Straub said building design alone isn’t enough. Sometimes what you need is good protocol. That could include training visitors not to hold the door open for the person behind them. Or making sure the main office has a packet of safety procedures. Straub said you don’t always need fancy safety gadgets, just knowing where to hide from an intruder can be enough. Martha Sherman, the parent, said she doesn’t want her kids to feel like they’re in a prison. She likes that their school is bright and full of windows. This new one is, too. And in fact, Straub said construction choices, including using more glass, can cut down on issues that can sometimes lead to violence, like bullying. 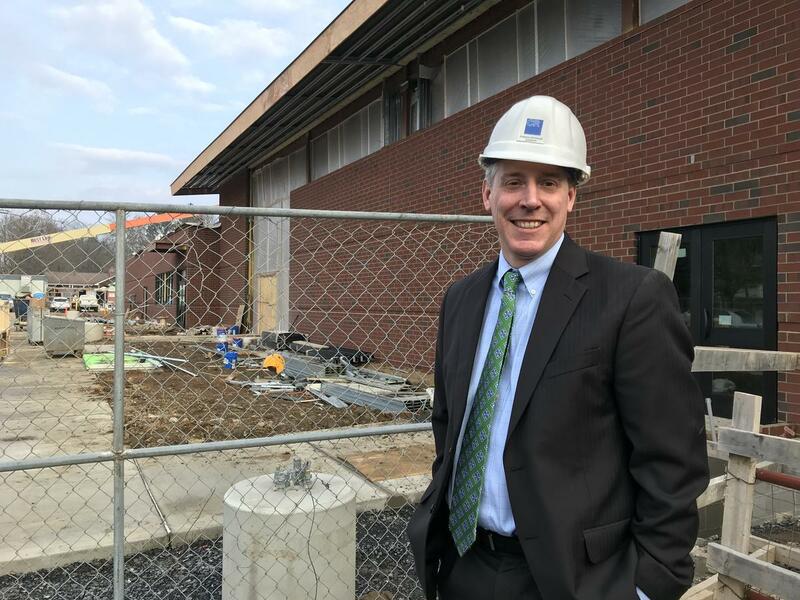 Straub’s firm is currently working on three State College area elementary schools and the high school. He says safety features usually add from half a percent to a percent and a half to the total cost of a project. 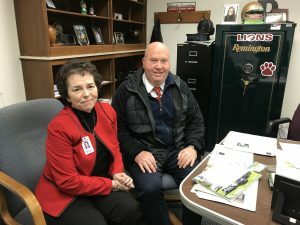 Pennsylvania’s Act 44, enacted last June, gives school districts $25,000 each to improve safety. 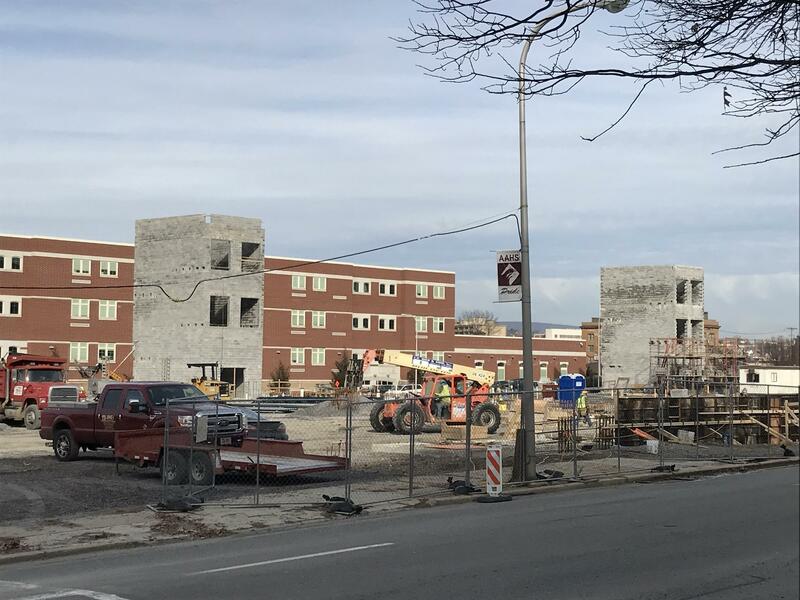 Many are hiring counselors or security officers, but Straub says many are also contacting his office for building improvements and safety assessments. 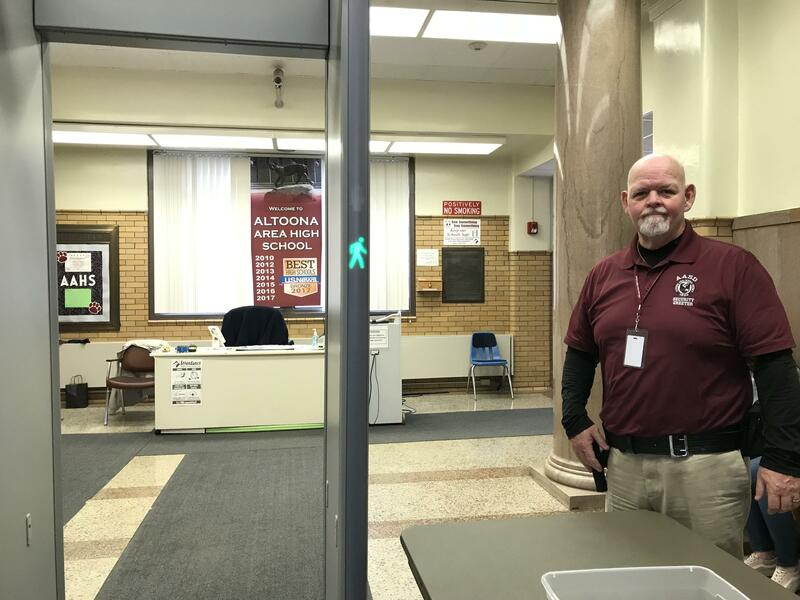 “Security greeters” man the metal detectors at Altoona Area High School. They check all visitors and students arriving late. 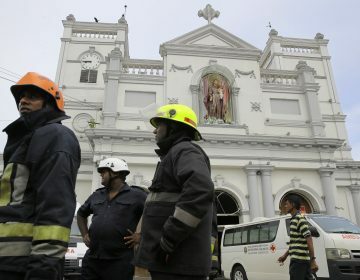 One of the more controversial building safety measures is metal detectors. Some parents, like Sherman, don’t want them. But Straub says they’re a good option for some school districts, if they have the personnel to run them correctly. Altoona doesn’t have all the students go through the metal detector every day, instead they put students through random metal detector checks. 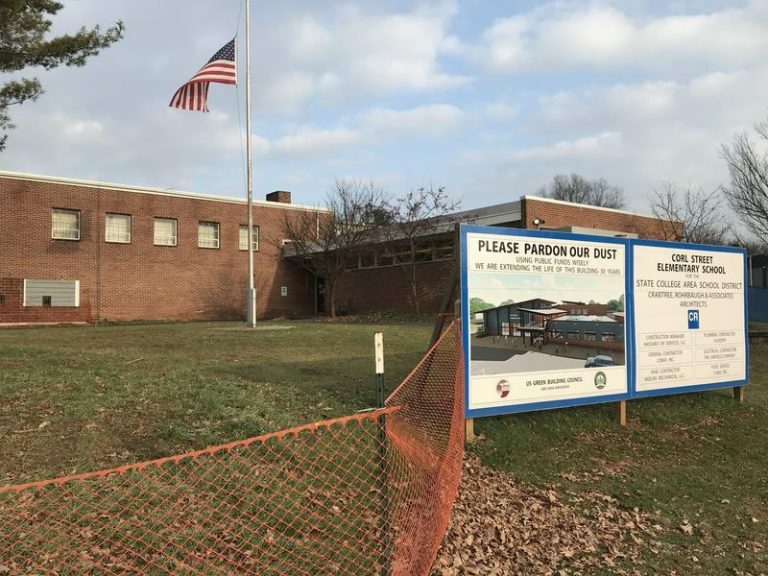 Assistant Superintendent Patty Burlingame said that was suggested by a security audit by the Pennsylvania Department of Education. She was the principal at the high school for 18 years and up until just a few years ago. Police Services Director Bill Pfeffer said the high school first got the metal detectors about 20 years ago, around the time of the Columbine shooting. He hopes they never feel the need to put every student through a metal detector every day. Burlingame said they’re now adding metal detectors at some of the district elementary schools. 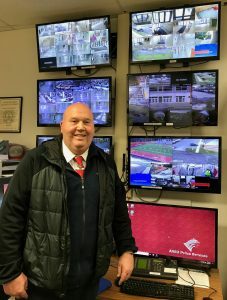 Visitors to the high school always go through the metal detector, have their ID scanned, and are escorted by security to where they need to go. In this old-style building, administrative offices are not at the entrance. The Altoona Area School District is building a new, $88 million high school. But it won’t be that way for long. Altoona’s current high school was built in 1927, with an addition in 1972. It’s taken a lot of safety updates to make it secure. But soon the school district will replace it with a new $88 million high school with all the modern safety features built in. Pennsylvania Gov. 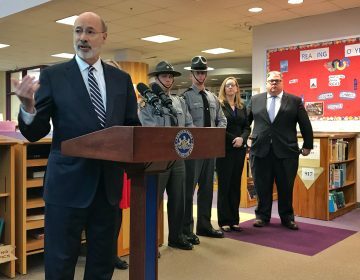 Tom Wolf has created a new statewide task force to examine ways to improve safety for the state’s schoolchildren.